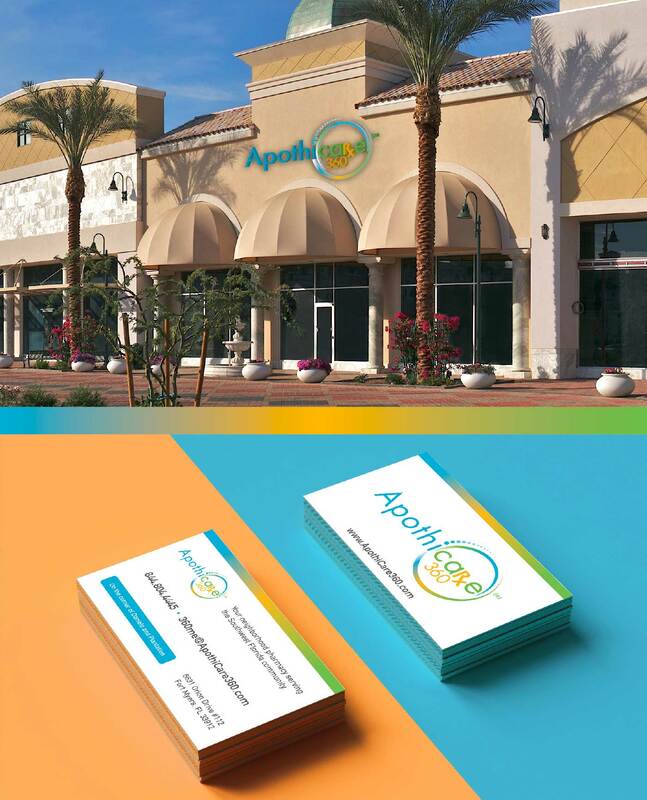 Apothicare 360 prides itself on being more than just a typical pharmacy. 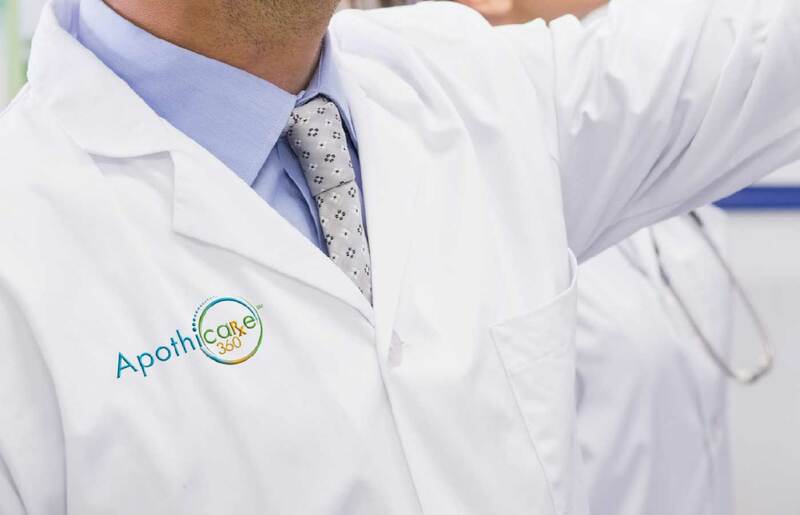 In addition to doctor-prescribed and over-the-counter drugs, Apothicare 360 is an integrated compounding pharmacy, meaning it creates customized pharmaceutical preparations to meet the unique needs of patients who have not found relief with commercial medicines. 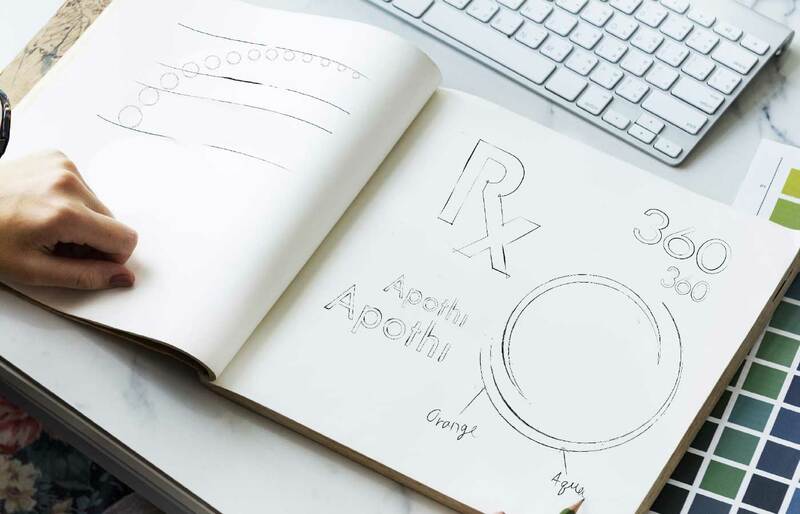 The Fort Myers, Florida-based pharmacy needed a brand identity that would capture its focus on the healthier lifestyle, prevention and holistic treatment options, as well as its 360 degrees of patient care. The objective of the logo was to integrate a circle with dynamic movement to convey the concept of continuous 360 degrees of care. In addition to bringing the client’s vision for the design to life, Xavier recommended a color palette that would convey the emotions that match the mission of the company, as well as set it apart from competitors. 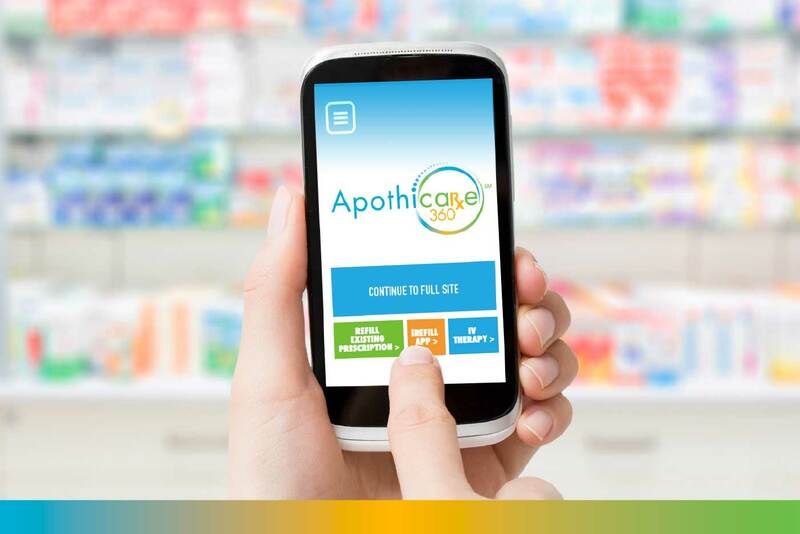 After plotting logos of competing pharmacies on the color wheel, Xavier pointed out overused colors for this industry as well as gaps representing opportunities for Apothicare 360 to distinguish its Brand. From these color gaps, Xavier recommended a color palette that was in harmony with Apothicare 360’s unique qualities. 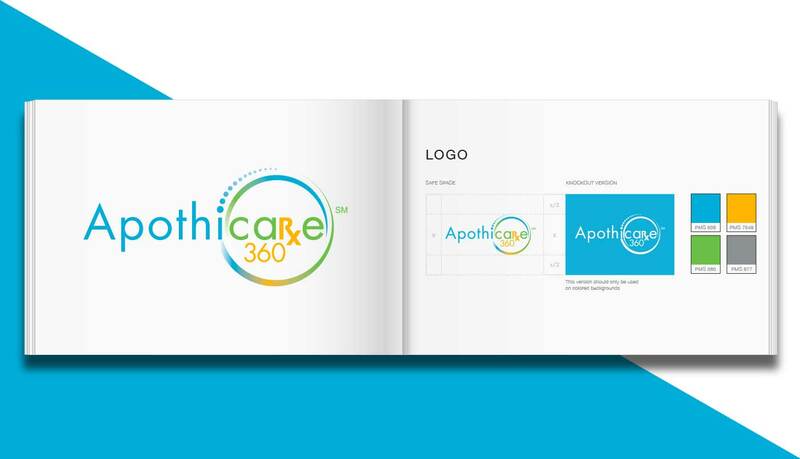 The resulting logo’s circle in motion illustrates Apothicare 360’s endless cycle of patient care, and the chosen colors of blue, green and yellow convey the fresh, positive and natural focus of the pharmacy’s mission. Since the logo was going to be used on the pharmacy’s lab coats, Xavier ensured that the logo design would be one that could accommodate custom embroidery. 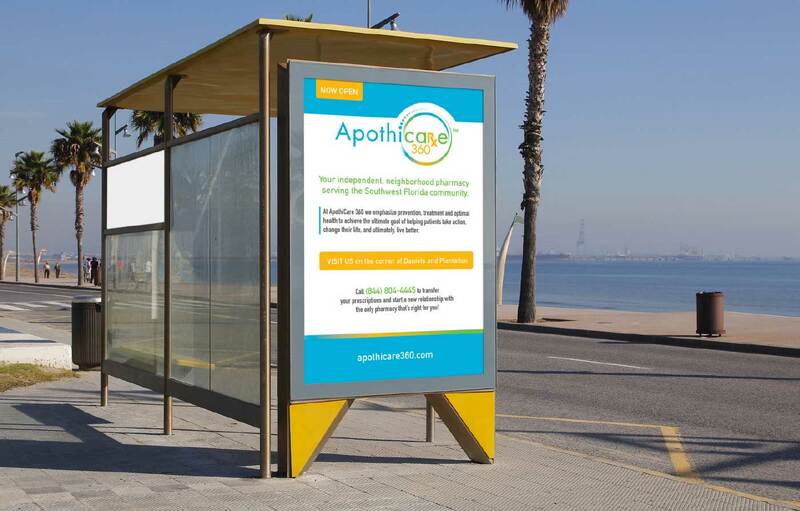 Apothicare 360’s new logo is the core fundamental of its brand identity and was created so it could easily extend to all facets of communication, from unique collateral to large-scale advertising.